Apple HomePod firmware availability reveals additional details about Apple’s upcoming smart speaker. Here’s what you need to know. What is the first thing that inquisitive developers do when Apple pushes out a new version of firmware that has never been seen before? Well, rather than simply sit back and wait for the hardware to launch, which in this case is Apple’s new gorgeous HomePod, that inquisitive developer is Steven Troughton-Smith and he has jumped straight into the internals of the HomePod firmware to find that it runs the full iOS platform and runs something called SoundBoard, which is akin to iPhone and iPad’s SpringBoard. 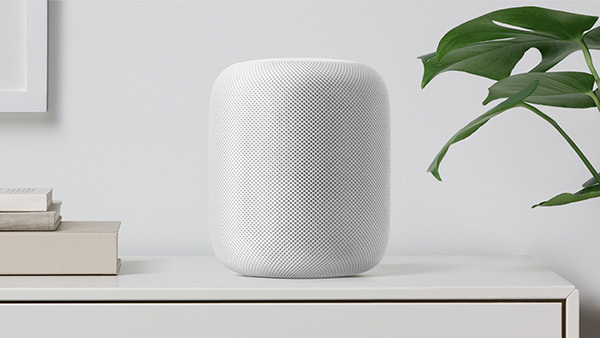 There is only so much that you can learn from investigating the firmware code, but it has become immediately apparent that Apple’s HomePod will support various Accessibility features just like its iPhone, iPad, and iPod touch counterparts. That will include supporting the use of VoiceOver functionality which will allow users to perform specific tasks and given specific instructions on HomePod by receiving voice support, which is particularly useful to those who are visually impaired. Troughton-Smith also believes that the top of the HomePod hardware is more than just a couple of LEDs capable of supporting limited activity or function. His investigations into the firmware code base have led him to the conclusions that the top of the HomePod is actually a full LED matrix that could be used for additional functionality going forward. Of course, at this time that’s purely conjecture based on the best guess scenario, meaning we’ll have to wait for official confirmation of that going forward. One of the most interesting aspects of the analysis is the potential for the HomePod to run additional apps or experiences. When Apple first introduced HomePod at WWDC, the developers in the crowd would have immediately started thinking about additional experiences that they could bring to an intelligent device of that nature. 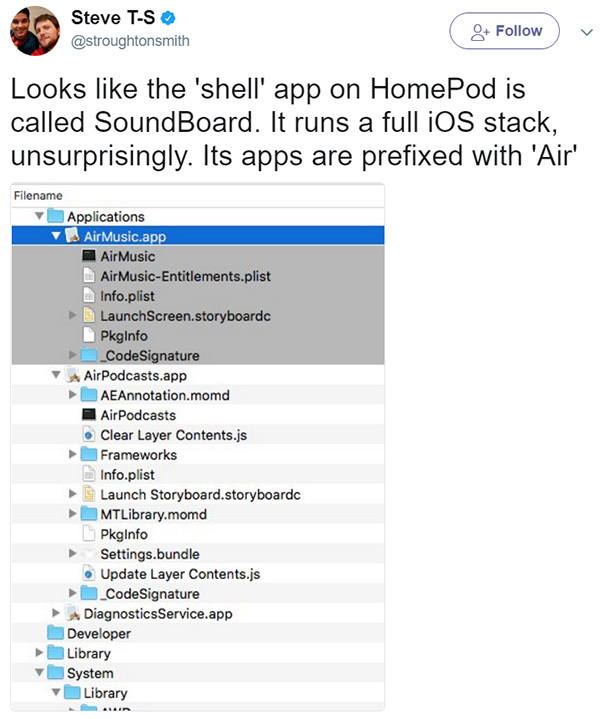 Despite running a variant of iOS, it seems that HomePod is not yet equipped for this to happen, at least not yet, so it seems highly unlikely that apps will be offered via a dedicated App Store anytime in the near future. With that said, very much like Apple TV, that could definitely change in the future once HomePod has established itself. Apple is expected to start shipping the HomePod this coming December with a retail price of $349.